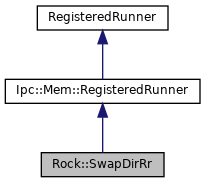 Definition at line 157 of file RockSwapDir.h. Definition at line 1163 of file RockSwapDir.cc. Definition at line 1136 of file RockSwapDir.cc. References SquidConfig::cacheSwap, Config, i, INDEXSD, Acl::Init(), Must, Store::DiskConfig::n_configured, Ipc::Mem::Owner< Class >::object(), Ipc::Mem::PageStack::pop(), and shm_new. Definition at line 169 of file RockSwapDir.h. Definition at line 168 of file RockSwapDir.h.